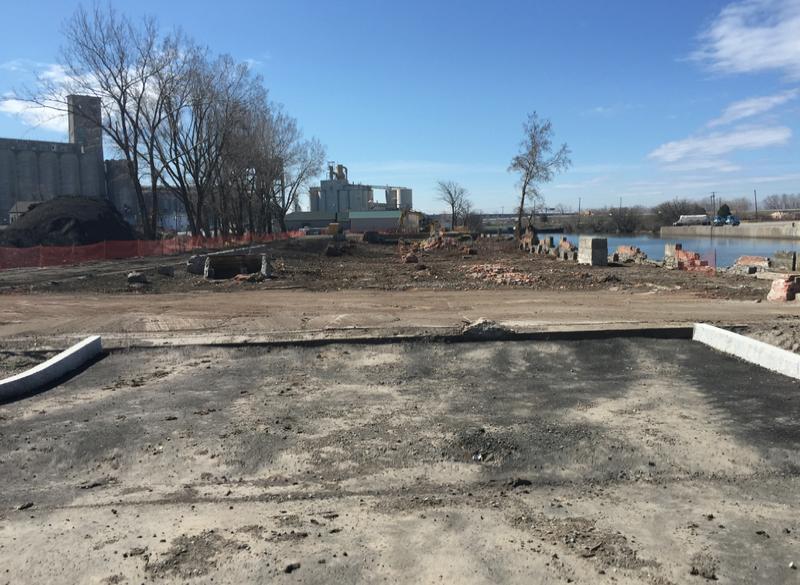 Frontier Industrial Corp. has completed clean-up and site preparation at 441 Ohio Street in Buffalo, New York clearing the way for development of Buffalo River Landing. The work performed by Frontier included safe demolition, site remediation and ultimately redevelopment of the former Erie Freight House. The building was taken down slowly and carefully because much of the structure contained asbestos. In addition to dismantling and removing the structure, Frontier crews had to use extra care as the building sat just feet from the Buffalo River. With the site cleared and cleaned, construction work will now begin on Buffalo River Landing, a new five-story mixed-use building that will include 78 market-rate apartments and two commercial offices. Plans call for the $16 million project, to be open in April 2016. Buffalo River Landing is a redevelopment project of the Frontier Group of Companies and Savarino Companies.